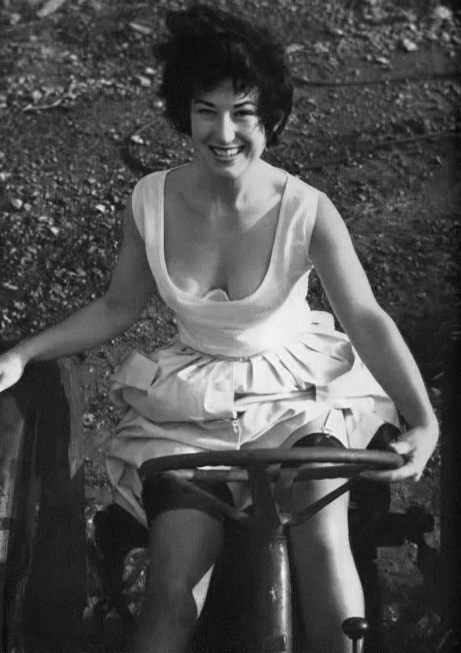 Attractive Yorkshire secretary, MARGOT WEST, found the farm tractor a recalcitrant brute. It was stop, go, stop, go and stop. The mechanic, a wild irresponsible type, had gone off to play Bingo at the corn exchange, and there was nothing left for Margot to fall back on except her own initiative. Bravely discarding her skirt in case, it caught up in the big end, our secretarial type got down to proving it’s not only typewriters she can cope with.